The annual SIGGRAPH conference and its year-around initiatives provide unique crossroads for a diverse community of researchers, developers, creators, educators, and practitioners. Our continuing mission is to be the premier annual conference on theory and practice of computer graphics and interactive techniques, inspiring progress through education, excellence, and interaction. The SIGGRAPH Conference Chair has a rare opportunity to inspire and lead a highly energized, multitalented, and deeply committed team of volunteers and professional service contractors in delivering the world’s greatest conference on computer graphics and interactive techniques. SIGGRAPH Conference Chairs work in close conjunction with the Conference Event Director, Conference Advisory Group (CAG), ACM SIGGRAPH Executive Committee (EC), professional service contractors, and volunteer conference committee to create and implement the conference. A Conference Chair’s role normally begins two years before their conference and continues until the January after their conference. In addition to managing the conference logistics for their year, the Conference Chairs serve in an advisory capacity to the ACM SIGGRAPH organization and other conference years surrounding as a member of the CAG. SIGGRAPH encourages Conference Chair as well as Conference Co-Chair applications where either one OR two individuals apply for the position. Conference Co-Chairs may find this new application procedure desirable as Co-Chair expertise, experience, and interests can allow for shared leadership of the conference planning. Please note that the two individuals interested in sharing this exciting role must submit their application jointly. The following list is a “high-level” view of the specific responsibilities associated with serving as a Conference Chair. The list is organized under general categories of responsibility. Provide leadership for and participate in strategic and long-range planning for the SIGGRAPH conferences. Implement the strategic plan in partnership with the Event Director. Develop the vision for and assist in enforcing the annual conference tagline, visual identify and brand. Participate in marketing efforts promoting the ACM SIGGRAPH annual conference. Review and approve media deployments and assist in guiding communications. Work with and seek to implement elements of overall Conference Advisory and Executive Committee strategic growth initiatives for the ACM/SIGGRAPH experience. Responsible for recruiting and managing volunteer chairs for all of the content areas of the SIGGRAPH 2021 conference. Work with the volunteer committee to develop technical focus, determine the vision of the conference, oversee the content of conference collateral, and help plan the on-site presentation of content. Work with other Conference Chairs and the Event Director in recruiting future Conference Chairs. Approve or deny requests for curated content that comes to the conference after the submission deadlines. Ability to faithfully resolve and prioritize conflicting requests in a way that is in the best interest of the organization and the conference. Work with the Event Director to prepare preliminary and final conference budgets. Present budget in separate meetings first to the CAG for approval, and then to the EC for final approval. Adjust budget and assumptions based on direction received from these groups. Work with Event Director to prepare and review financial reports for the CAG, EC, and ACM throughout conference planning cycle. Authorize volunteer travel and operating expenses. Work closely with the Event Director to negotiate and approve single-year contracts. Work with other members of the CAG and the EC to prepare Requests for Proposals (RFPs) and evaluate bids from potential contractors. Contribute to the development of SIGGRAPH conference policies and procedures. Carry out procedures and assist in managing committee compliance. Report regularly to the EC, CAG, and ACM regarding all conference activities. Facilitate and participate in timely communication with the committee to provide direction and solve problems. 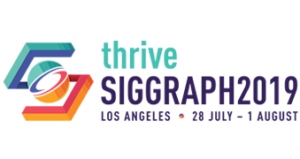 Represent the SIGGRAPH conference to other organizations, the media, and the public-at-large. Responsible for planning and scheduling all conference committee meetings to maximize efficient use of resources including people, time, and money. Chair all conference meetings with the Event Director. Attend all conference committee meetings, CAG meetings, EC meetings, and any other meetings as appropriate. Conference Chairs are visionaries, leaders, and managers. The following lists of qualifications represent the “ideal” candidate. It is not mandatory that individuals meet every qualification to be eligible for the position of Chair. SIGGRAPH Conference Chairs must hold current membership with both ACM and ACM SIGGRAPH throughout the duration of their conference planning cycle. Conversant with computer graphics industry issues. Familiarity with the SIGGRAPH conference (ideally a previous committee member chairing a venue). Connected to an established network of individuals within the computer graphics and/or interactive community. Strong, demonstrated, effective management expertise (able to articulate their own management style); able to manage a diverse group of people with varying needs, goals, and assumptions about their SIGGRAPH involvement. Able and willing to devote the necessary amount of time to do the job; have solid support from both their employer and family. This position requires work during the day, after hours and over the weekend. Able to make a three-year commitment to managing the conference and actively participating as a member of the CAG. Demonstrates ability to negotiate, speak publicly, and lead meetings. Flexible, diplomatic sense of humor. Able to communicate a clear vision. Is a strategist, able to chart clear directions, offer creative solutions, develop action plans, and respond to changing conditions and opportunities. Able to motivate people and set expectations; able to build a team of people. Aware of their own limitations. Have their own set of clear criteria for success and failure; able to regularly assess their status and make mid-course corrections. Able to articulate clear job descriptions for volunteers. Able and willing to effectively delegate work. Able to surface and resolve conflict comfortably. Is politically savvy, having an awareness of both internal and external politics of the organization. Able to allow others space for leadership and decision-making, resulting in a balance of power, control, and leadership between professional service contractors and volunteers. Phase 1: Identify and encourage potential Chair and Co-Chair candidates. In May, three years prior to the conference year, the CAG posts an open call for volunteers for Conference Chairs in both SIGGRAPHITTI and on the Organization website. In addition, the CAG discusses and identifies potential candidates to encourage them to apply. Potential candidates are identified from previous committee lists, personal knowledge, and recommendations. All individuals who express an interest are encouraged to apply and discuss the Conference Chair responsibilities with CAG members at the conference. Phase 2: Collect application information from candidates. 2) Statement of interest to include the following: A self-evaluation discussing each point listed in the Conference Chair qualifications. Reasons they would like to serve in this position. What they would like to accomplish as Chair. Co-Chairs should provide additional information as to why their joint application would be beneficial to the conference. Please be sure to describe prior professional relationships among the proposed Co-Chairs, and elaborate on how the two will effectively tackle the common challenges associated with longterm inter-professional collaborations. 3) Any other information they would like to provide. 4) A list of references. Applications or questions about the application process should be submitted electronically to event-dir@siggraph.org. All applications must be received by September 20, 2019. Phase 3: Evaluate candidates and recommend Conference Chair/s to EC for approval. The CAG will evaluate the collected information using the qualifications listed above. Primary candidates will be identified and formally interviewed by the CAG at their October meeting. Based on the evaluation and interviews, the CAG will identify a recommended Chair and submit it to the EC for approval within two weeks. All candidates will receive timely feedback on the status of their application as soon as possible. Read and respond to conference email traffic: approximately 2 hours per day. Handle and return phone calls: .5-1 hour per day. Prepare and review documents: .25-.5 hour per day.